Quite a change from my home the previous week at The Parker. And before that I was in Paris and England. Moving. Work retreats. Traveling. 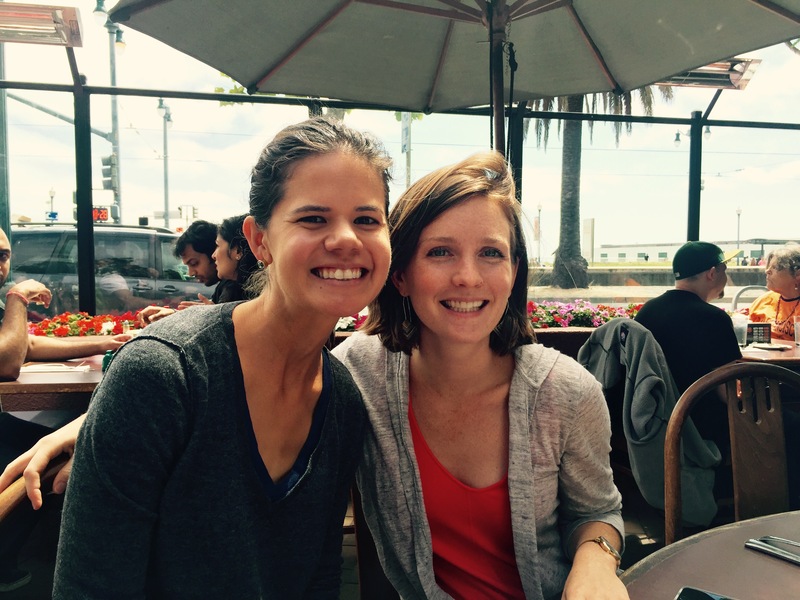 The San Francisco Marathon hadn’t been on my radar. It was going to be a quick, barely over 24 hour trip that I was lucky enough to get comped by qualifying as an “elite.” I’m about 20 minutes away from being a true elite in the half marathon, but San Francisco is known for hills. People are scared to sign up for races with hills because it means it’ll slow their times down, so they have to entice us to by offering to elite spots to people like me. Anyways, considering Anna just moved to San Francisco and it’s just a quick trip up from LA, and I love the half, I had to say yes. Ellen joined in, running the first half of the marathon (significantly hillier than the second half). I chose to run the second half. No lofty goal. Just a positive attitude and always the hope of a PR, but I wasn’t going to be greedy. Turns out a positive attitude goes a long way. I just kept reminding myself to relax my shoulders, I smiled, and had fun with the ups and downs…the hills..not emotions 🙂 I think because I’ve run sub-90 a few times, I know it’s physically possible and that’s just kinda my go-to pace. Around mile 9 I realized I was amidst the worst miles in a half and was feeling pretty happy. I picked it up a bit but with lack of speed work couldn’t really get my legs moving much faster. Note to self: get back on the track. With two miles to spare I saw that if I hustled I could run a slight PR. It was only 30 seconds, but I’m humbled to have run a PR on this course after last week. Ellen finished in 1:37 and Lauren finished her first half marathon in 1:55. They both ran the first half which was super hilly. Alaina also reminded me I qualified for a $250 credit at Tracksmith. Racing this summer? Consider doing it in your Tracksmith attire for some major store credit. But don’t forget to take a photo of you in your apparel so that you can qualify to get the credit. I almost forgot. And apparently my name is Cristinia. Oh, and here is Zuckerberg running the first half. He’s on a running kick these days. After loading up on freebies (and the freebies were especially good) I headed back to Anna’s to shower before meeting up with a big group for brunch. Kerri, my original running buddy who I ran Toronto Marathon with met up with us. 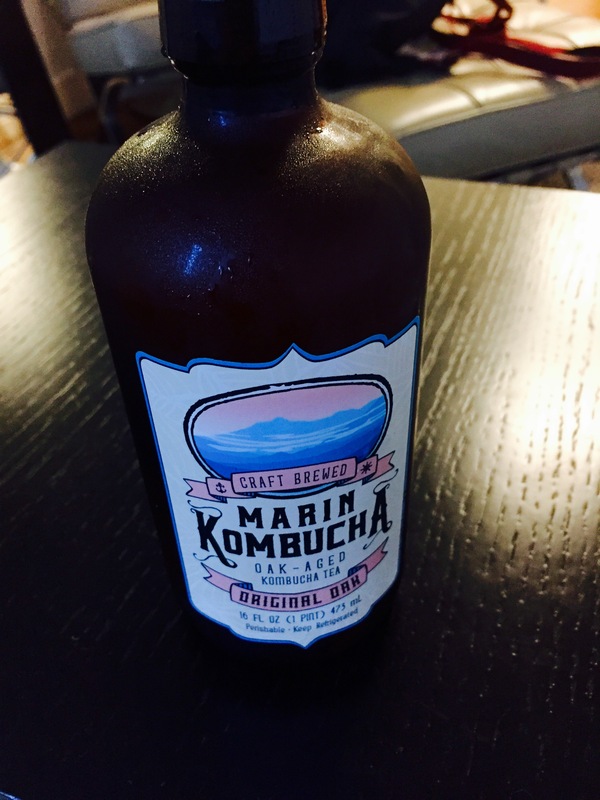 And I had to try the local Kombucha. It’s become part of my day before the race place. You know, probiotics. Good for the gut. Alaina, I wanted to bring some home for you! My pre-race dinner consisted of Flour+Water. Ahh it was so good! Apparently it’s hard to get a reservation. Anna and I waited for a bit and got a spot in communal seating. The braised beef with eggplant confit with handmade pasta. It was on Bestia level. After brunch Anna, Ellen, and I wandered all over SF before heading back to LA. Short and sweet trip to SF for just over a day. 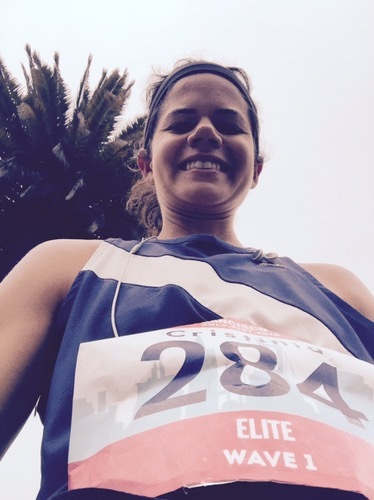 This entry was posted in Race Review and tagged fire+water, sf marathon. Bookmark the permalink.